Ata Rangi translates as dawn sky. Owner Clive Paton first planted vines in Martinborough, Wairarapa, New Zealand in 1980, a time when there was no significant wine industry in the region. The site had been a small sheep paddock when Paton bought it. His first vintage was 1985. With the contributions of Paton's winemaker spouse, Phyll Pattie, and highly educated winemaker Oliver Masters who is married to Paton's sister, Alison, the foursome brought Ata Rangi worldwide recognition by the early 1990s. The current winemaker is Helen Masters, who began her career at Ata Rangi at age 18, then worked vineyards around the world before returning in 2003. She works with over 30-year-old vines, a rarity by New Zealand standards. Ata Rangi has won the prestigious Bouchard-Finlayson Triphy from the UK's International Wine and Spirit Competition three times. 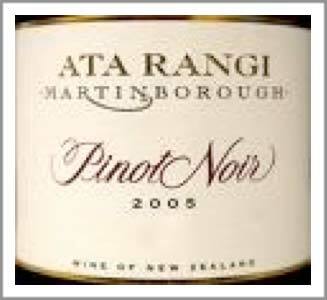 The Ata Rangi Pinot Noir is considered a benchmark wine for the Martinborough region. 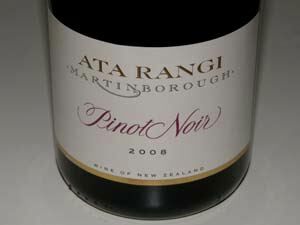 The Pinot Noir is exported to the United States (Epic Wines, Aptos, CA), UK and other countries.